Check our our stellar reviews on Google and Yelp! Do you have ugly, rusty or just dark window wells? In the past, homeowners hid all of the natural light with blinds, but now you can finally look out of your basement and enjoy the look of fine stonework in your window wells. With our Colorado Custom window well liners and covers, your basement will finally look and feel finished. Take advantage of the custom basement window well liners and covers that Colorado Custom Window Wells has to offer you today! Give us a call…. 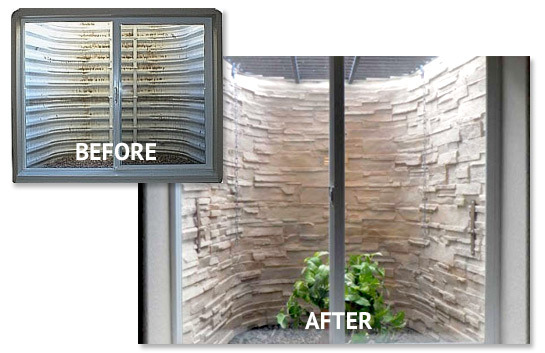 Brighten Up YOUR Basement with Custom Window Well Covers! 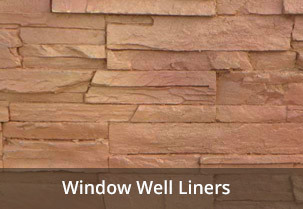 Colorado Custom Window Wells has created the best solution for Ugly Window Wells available, the look of 3 Dimensional, stone window wells that are made to last forever. We are Better Business Bureau Accredited in order to serve the Front Range the best we can. Our professional staff will assist you with most any window well needs you have. With 12 different styles, we are sure to have something to compliment your basement furnishings and decor. Call today and set a time for your in home consultation. Your basement isn’t finished until your window wells are finished too. Check out what our customers have to say on our Testimonial Page! Our Polyurethane stone liners liners attach over your existing window wells! 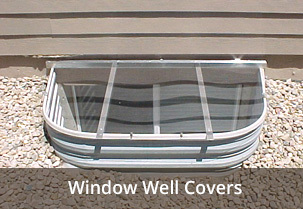 Colorado Custom Window Wells also provides Colorado with an elite line of polycarbonate window well covers. The polycarbonate material is extremely strong, durable, and UV treated to prevent sun damage. Our custom window well covers are built to support 500lbs static weight. With our diverse designs, Colorado Custom Window Wells is able to custom make covers to accommodate every difficult challenge a window well might offer. Our covers are built with a CNC machine, and cut to perfection! Every window well is different, so we take exact measurements to ensure covers fit with precision to guarantee safety, keep out debris, and keep precipitation from entering the window well. All of the our covers come with a limited-lifetime warranty. 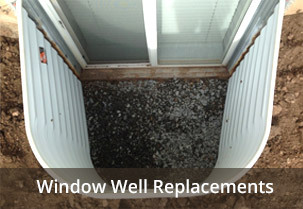 No matter what your basement window well needs are, Colorado Custom Window Wells has the solution for you! Phone estimates are available and appointments are available Monday thru Friday, get in touch today! © Colorado Custom Window Wells LLC. All rights reserved.